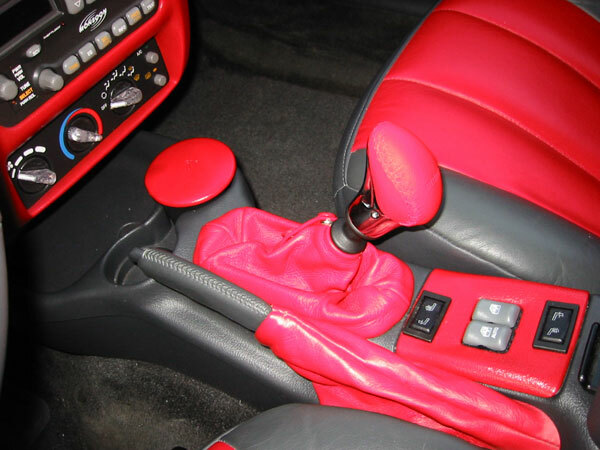 I am continuously answering questions on j-body.org about how to change the shift knob in a 2000+ Cavalier or Sunfire. Here is the definitive guide to what's involved. Note that these instructions do NOT apply to 1995-1999 model years which used a different transmission and shifter and had a different type of shift knob without the lift-up reverse lockout. To the best of my knowledge, all 1995-1999 manual j-bodies had a small u-clip holding the shift knob on. First off is the removal. Despite what some people think, there is no clip or threads involved. 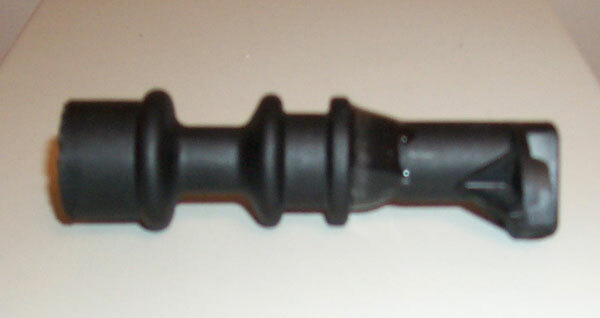 The knob is press fitted at the factory and will only come off by force or cutting. Some people have had luck with twisting and pulling at it but I had to resort to cutting. Removing the boot is as simple as undoing the two snaps and popping the base off the console. It's clipped on and easy to remove. Squeeze the sides of the base and press it forward for the easiest release. Now you have to decide what you want to do with the reverse lock-out lifter. With the knob off, it will lift right off the stick. If you so choose, you may throw it out and take your chances without the added safety it provides. A quick look at the base of the stick will show you exactly how the lifter works so you can judge its value for yourself. Shifting into reverse at any speed but slow will be difficult at best with or without the lifter but I feel it's a nice check to ensure you don't miss a downshift to 4th and try to pull to reverse. If you've decided to throw out the reverse lifter, you can now take just about any aftermarket knob you want and secure it to the stick. If, like myself, you've decided to keep the lifter you'll have to find an aftermarket knob that supports such a thing. This style of shifter is far more popular in Europe than it is here so you may have better luck looking abroad. Mine was made by MOMO. This site has some. Click on Shift Knobs and note that the ones saying "Special *" work with the lifter. Once you have your new knob, the fit may not be quite what you expected. You may end up with a style that feels just right but mine ended up being about an inch higher than the stock one was, which made for a very awkward feeling shift. This is where you'll have to be creative and decide how to modify the lifter to work with a shortened stick. Before you start cutting things up, take a good look at how the lifter works. You'll find that you require the top half to look finished and support the boot and you'll need the bottom half to block reverse and keep it from spinning. With that in mind, I found there is about an inch in the middle of it that's not really required for anything. That was perfect for me, since my new knob was almost exactly an inch higher than I wanted it to be. I then cut the middle out of the lifter and glued the two halves back together. I had a magic marker that was the same thickness as the shifter so I used that to ensure the two halves lined up properly when gluing. Then, using a dremel cutting wheel, I then cut the exact same length off the stick itself. When I put everything back together, I was left with exactly what I wanted.